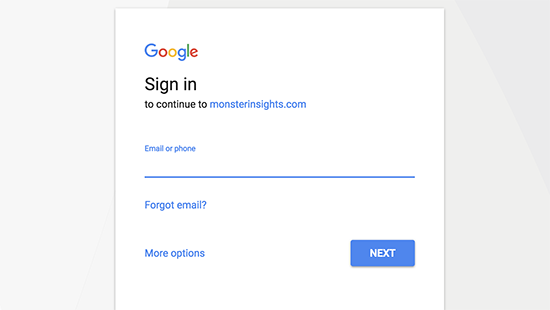 Visit https://analytics.google.com to sign up for your Google Analytics account. On the next screen, you will be given choice to choose between a website or mobile app. Make sure you select " website ". 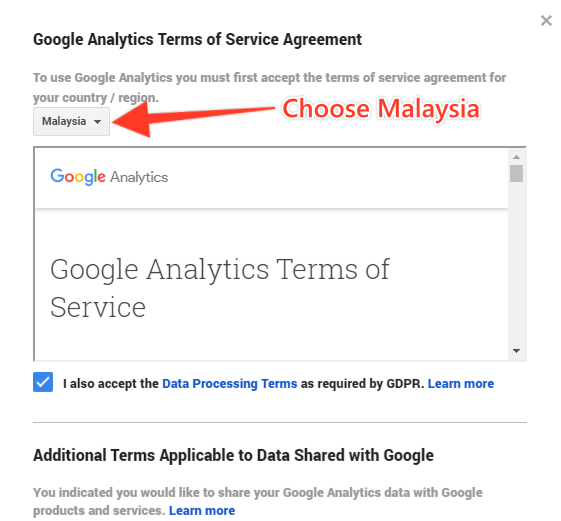 Check all the boxes for Google Analytics Terms of Service and select "Malaysia" as country. Scroll down and click on " I Agree " button. Now you will be presented with your Google Analytics tracking code. 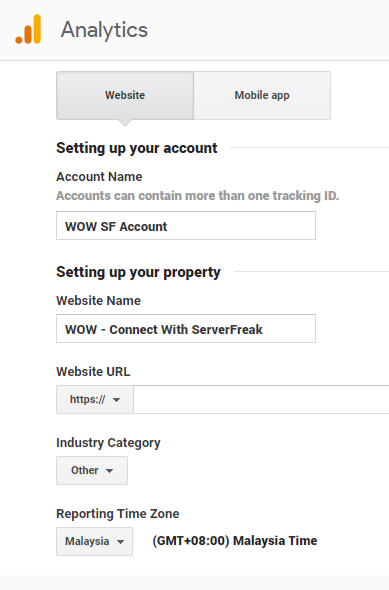 You can copy this tracking code because you will need to enter it in your WordPress site. We need this code to place it inside MonsterInsights plugin (FREE version). 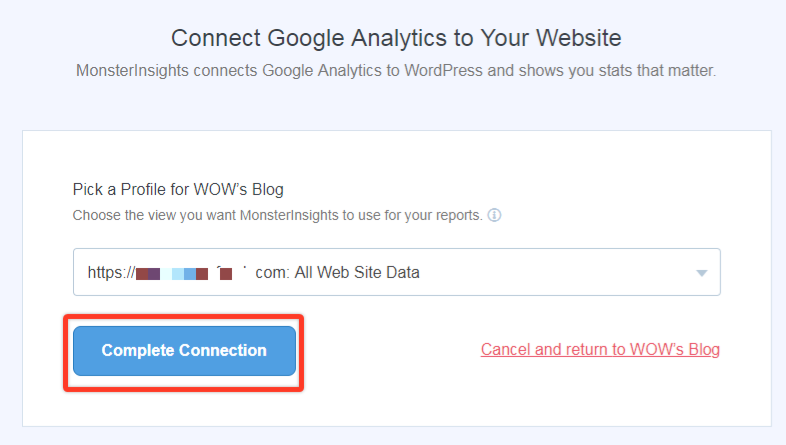 Upon activation of MonsterInsights plugin, it will add a new menu item labeled ‘Insights’ to your WordPress admin menu. 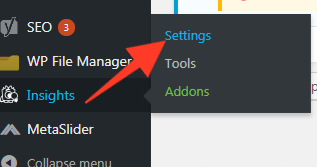 You need to visit** Insights » Settings** to configure the plugin settings. 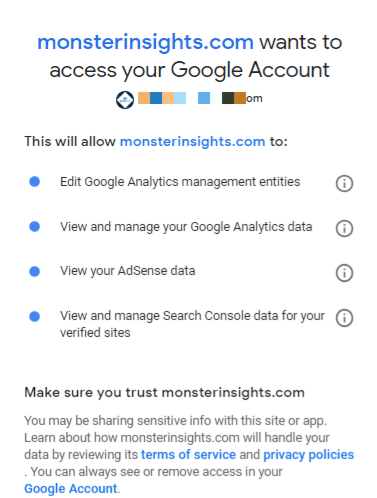 On this screen, you need to click on ‘ Authenticate with your Google account ’ button to connect Google Analytics with your WordPress site. Click on the Allow button to proceed with the next step. The final step is to select the profile you want to track. You need to select your website here and then click on the ‘ Complete Connection ’ button to continue. Remember, it will take Google Analytics sometime before showing your stats. If you own a high traffic website, you can obtain your website analytics data within 24 to 48 hours. To view your website analytics, simply visit Insights » Reports page to checkout a quick overview of your analytics data.